Open access (OA) medical publishing is growing rapidly. While subscription-based publishing does not charge the author, OA does. This opens the door for “predatory” publishers who take authors’ money but provide no substantial peer review or indexing to truly disseminate research findings. Discriminating between predatory and legitimate OA publishers is difficult. We searched a number of library indexing databases that were available to us through the University of California, Irvine Libraries for journals in the field of emergency medicine (EM). Using criteria from Jeffrey Beall, University of Colorado librarian and an expert on predatory publishing, and the Research Committee of the International Federation for EM, we categorized EM journals as legitimate or likely predatory. We identified 150 journal titles related to EM from all sources, 55 of which met our criteria for OA (37%, the rest subscription based). Of these 55, 25 (45%) were likely to be predatory. We present lists of clearly legitimate OA journals, and, conversely, likely predatory ones. We present criteria a researcher can use to discriminate between the two. We present the indexing profiles of legitimate EM OA journals, to inform the researcher about degree of dissemination of research findings by journal. OA journals are proliferating rapidly. About half in EM are legitimate. The rest take substantial money from unsuspecting, usually junior, researchers and provide no value for true dissemination of findings. Researchers should be educated and aware of scam journals. Dissemination of findings is the very core of every research endeavor. Publication through peer-reviewed literature educates the research community. It is also used to quantify the impact of individuals during career progression. In fact, publishing in high-quality peer-reviewed journals remains the prime metric of success for academicians, especially early career researchers focused on promotion and tenure. Publication of research without proper scientific review is a detriment to society,1 can lead to unsafe/non-beneficial clinical practice, and in some cases may reward the conduct of unethical/unscientific conduct such as plagiarism, falsified data, and image manipulation.2-3 Predatory journals are motivated by financial gain, and are corrupting the communication of science.4 Furthermore, their main victims are primarily institutions and researchers in low- and middle-income countries (LMICs). Predatory publishing is often confused with open access (OA), though they are distinctly different. Legitimate OA publishing benefits scientific communication, especially in LMICs, where researchers lack institutional support for access to literature.5 Conversely, predatory publishing upholds few if any of the best practices, yet demands payment for publishing, even from those most unable to pay. In 2013, John Bohannon conducted a “sting” operation, to expose the lack of peer review in predatory OA journals, and published his story in the journal Science.6 He created a fictitious paper from made-up authors from non-existent African universities that purported to identify a new chemical that inhibited cancer cell growth. The paper was purposely fundamentally flawed such that any level of peer review would result in rejection from a legitimate journal. He sent the paper to 304 OA journals drawn from both the “predatory” scientific journal list of Beall (see below), and the Directory of Open Access Journals (presumably legitimate). Ultimately 157 (52%) accepted, 98 (32%) rejected it and the rest did not respond. Average time to acceptance was 40 days, and to rejection 24. He reported that 60% of those that were accepted or rejected showed no signs of peer review for content. There is little in the peer-reviewed literature on the topic of OA publishing and submission processes.7 Determining whether a journal is truly predatory is difficult. One might mislabel small or nascent OA publishers lacking societal support or financial infrastructure as predatory because of their fees. Jeffrey Beall, a librarian at the University of Colorado in Denver, has long enlightened the scientific community about predatory publishing.8 This paper brings disparate sources together to provide a cogent tutorial for researchers. We present examples and strategies to discriminate between legitimate and predatory OA journals. In addition, we provide guidance from the International Federation for Emergency Medicine (IFEM) Research Committee report of 2015 to educate EM researchers to avoid predatory publishers and journals. The authors retained their own copyright to the material published. The entire content of the journal was available free of charge to consumers wishing to read the articles. The journal used a form of Creative Commons License. We conducted searches between January 1 and June 10, 2016 from these directories, indexes, databases, and publishers including the US National Library of Medicine (NLM) Catalog: journals referenced in the NCBI (National Center for Biotechnology Information) Database, PubMed Central®, Google, Scimago Journal and Country Rank (SJR), Directory of Open Access Journals (DOAJ), Thomson Reuter’s Web of Science, and EBSCOhost title lists. We are confident that we identified all the world’s OA journal titles in the EM subject discipline. We used search terms: (emergencies OR emergency OR ER) AND (open access OR OA OR PMC) to pare these down to only OA EM-related journals. Google works with publishers to index articles, theses, preprints, book chapters, abstracts, and technical reports from all research disciplines and make them searchable on Google Scholar. However, while these services readily retrieve individual papers, it is challenging to retrieve EM journal titles. We performed a comprehensive Google search, and then pared results to identify a list of OA EM journals. We then removed duplicates, included only journals that are 100% OA, and publish in English. We excluded any partial OA (a stated embargo period during which readers would need to pay for access) or inactive titles. We then scrutinized the journals, searching their websites and applying Beall’s criteria to identify and clarify which were likely to be “predatory” journals.8 We drew on collective experience in medical publishing and journal editing to identify features and characteristics that suggested that journals were primarily interested in profit over science, and lacked features inherent in legitimate journals in the field. A journal was categorized as likely predatory when it was not included in any recognized medical library indexing services (beyond Google), and did not have features on its website of legitimate OA journals. We present the journal titles and their website links as aides to authors who wish to further scrutinize the characteristics of a journal before submission. As this paper did not involve human subjects, approval was not obtained. We present our comprehensive findings of OA journals that relate to EM, and are likely to be either legitimate or predatory. 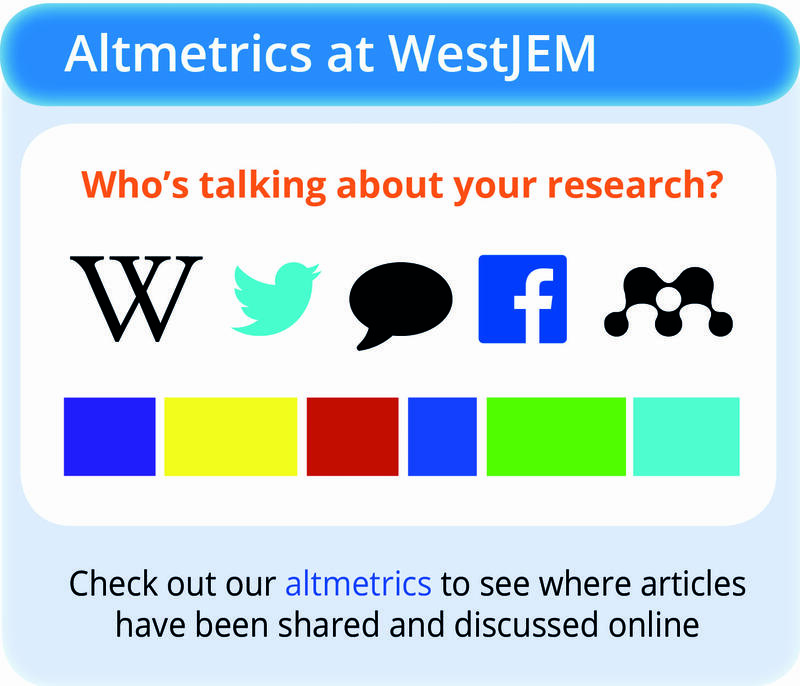 We first divide our results by each index we searched to identify OA EM journal titles. We then present journal titles (Table 1) from Beall’s list of predatory OA journals that relate to EM. Next, we present indexing services where legitimate open access journals may be found, and the number of journals indexed with the word “emergency”, “emergencies” or “ER” in the title, and notation of how many are OA (Table 2). Table 1Journal titles on Beall’s Predatory Open Access list, 2015, containing the word, “medicine” in the title that may appear related enough to submit an emergency medicine article. Table 2Indexing services where legitimate open access journals may be found, and the number of journals indexed with the word “emergency”, “emergencies” or “emerg*” in the title, with denominators representing total number of journal titles, including subscription journals. Numerator = OA. NLM, National Library of Medicine; PMC, PubMed Central; EBSCOhost, Elton B. Stephens Company; SJR, Scimago Journal Rank; DOAJ, Director of Open Access Journals; EMBASE, Excerpta Medica Database Scopus has no abbreviation. Next, we present a list of OA journals with the word “emergency” in the title that are archived in PubMed Central with full paper deposition and no or one-month embargo period (Table 3). These are clearly legitimate by virtue of their inclusion in PubMed. Table 3List of open access journals with the word “emergency” in the title that are indexed in PubMed Central with full paper deposition and no or one-month embargo period. Then, we present a list of legitimate OA journals in EM, along with the well-recognized indexing services in which they are contained (Table 4). By virtue of their inclusion in indexing services, they are legitimate OA journals. Finally, we present a list of likely predatory OA journals in EM (Table 5) that are not included in any reputable index. Therefore, Tables 1 and 5 are likely predatory OA journals, while Tables 3 and 4 list legitimate EM OA titles. Table 4Open access emergency medicine journals that have achieved indexing in recognized services and are therefore legitimate rather than predatory. 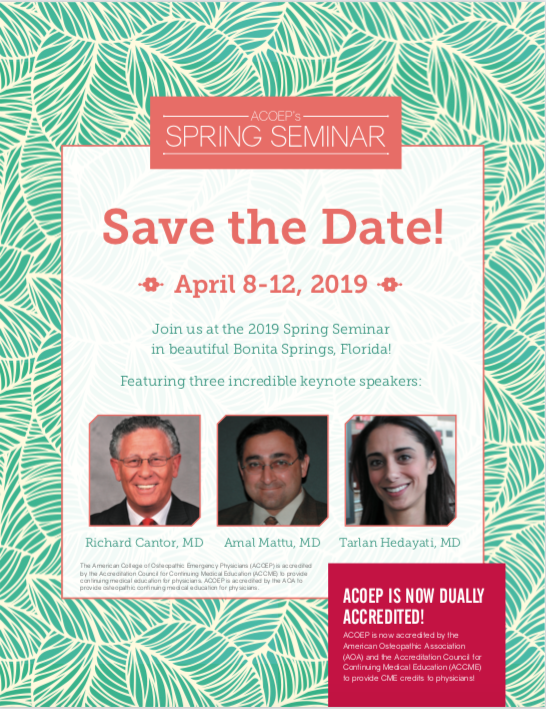 NLM, National Library of Medicine; SJR, Scimago Journal Rank; DOAJ, Director of Open Access Journals; WS, Thomson Reuters Web of Science Emergency Medicine: Open Access is not indexed in PubMed. Only one citation was found in PubMed. Table 5Emergency medicine journals that have not achieved indexing in any recognized service and are therefore likely predatory. 13 Internet Journal of Emergency Medicine http://ispub.com/IJEM from Internet Scientific Publications. The three authors agreed with the designation of OA journal in all cases. After scrutiny of the websites, this became very clear by the description, copyright agreement and Creative Commons licenses. The authors also were entirely in agreement regarding the titles listed in Tables 3 (PubMed Central indexed) and 4 that these were legitimate OA journals. All others were highly suspected of being predatory. The United States (US) NLM Catalog includes journals in all NLM collections and databases (e.g., PubMed, PubMed Central, MEDLINE, Nucleotide, Protein, etc). We found 127 titles in PubMed, PubMed Central, and MEDLINE, but only 17 are fully OA and contain the word “emergency,” “emergencies,” or “ER” in their title. See Table 2. PubMed Central is a US NLM repository and archive of OA full-text (not just abstract) scholarly articles. Our search identified 17 journals that are in “full participation” of OA. 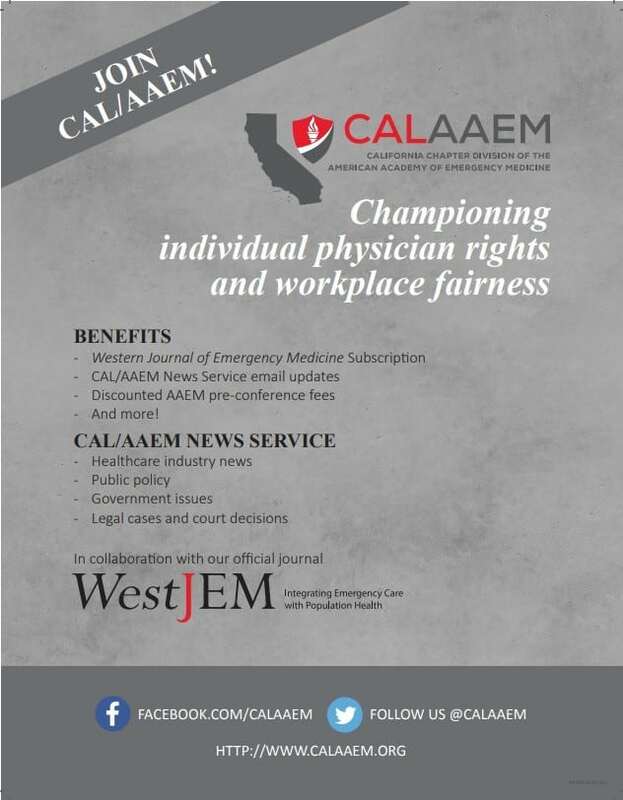 One title, “California Journal of Emergency Medicine” changed its name to “Western Journal of Emergency Medicine” and has remained fully OA. Two titles dropped their names and merged with a new name (Emergency Medicine Journal or EMJ). Since then, only a few selected articles are open access (Table 2), leaving 14 of the 17 journals that are truly OA. These journals must meet rigid scientific quality standards (http://www.ncbi.nlm.nih.gov/pmc/pub/addjournal/) to be included in PubMed Central. Therefore, they are all clearly legitimate and not predatory journals. The SJR is a mathematical analysis designed to measure the relative impact of journal articles by their citation frequency and importance, and then to rank the journals themselves within scientific fields. In the SJR website (http://www.scimagojr.com/journalrank.php?area=2700&category=2711), we selected “Medicine” as the subject area and “Emergency Medicine” as the subject categories in all regions and countries for 2015 journals. The results returned 72 journals. We then selected the “Display only Open Access Journals” box, yielding 17 titles, but only 12 were fully OA journals that met our inclusion criteria (Table 2). In the DOAJ homepage, we deselected “articles” and searched only for journal titles with a truncation search for emergenc*. The results returned 46 OA journals that contained the word “emergency” or “emergencies” in the title, but only 19 met our inclusion criteria as fully OA (Table 2). Thomson Reuters is a major multinational mass media and information firm headquartered in Toronto and New York. Its business is to select, index and sell access to scholarly works to university libraries. The company includes select journals in its indexes upon application, but rejects many titles that do not meet its standards. The Thomson Reuters Master Journal List includes all journals indexed in their propriety product called “Web of Science.” This includes the Emerging Sources Citation Index, created in 2015 (http://wokinfo.com/products_tools/multidisciplinary/esci/). With our truncated search for title word, “emergenc*,” we located 33 titles in EM, with 11 of them fully OA (Table 2). EBSCO, headquartered in Ipswich, Massachusetts, is a private company that indexes and sells access to scholarly works to academic and medical libraries (and many other products) through 375 databases. EBSCOhost houses titles by subject category. We reviewed and included only two relevant EBSCO databases, CINAHL (Cumulative Index to Nursing and Allied Health Literature) and Academic Search Complete that would most likely index EM titles. Our reviews identified 63 journals that contain the word “emergency” or “emergencies” in the title, but only 10 qualified as completely OA (Table 2). In Google, we searched for “Open Access Emergency Medicine Journal” (without the quotation marks) and examined the first 15 pages of results. These contained 150 sites that were linked to library journal directories, publishers and independent journal websites. After thorough review, we identified 57 (38%) initially determined to be OA journals. Two were excluded (leaving 55, or 37% OA) as known EM magazines (EM World and EM Resident) that would not be expected to achieve indexing or undergo formal peer review. These were then compared with titles from established indexing services worldwide described above (Table 2). One of the major markers of a predatory OA journal is the absence of indexing in any recognized reference index. Twenty-five of these 55 titles (45%, Table 5) were not included in any index, and therefore are highly suspicious of being predatory. Alternatively, they could be very early in their development and therefore cannot offer wide discovery in established search services. For example, we identified two journals that, while not included in any of the indexes we searched, nevertheless are legitimate and OA according to examination of their websites (Japanese Journal of Trauma and Emergency Medicine, an inactive title last published was in 2012, and Emergency Medicine and Health Care). We found that the most recent list of predatory OA journals from Beall updated January 7, 2016, contains 923 publishers from all scientific fields, each of which publishes multiple (3–30+) journals (33% increase over 2015) and 882 stand-alone journals (74% increase over 2015).8 Fortunately, none of the 923 publishers contain the word “emergency” or “medicine” in their titles, and none of the 882 stand-alone journals contain the stem, “emerg” (except for the word “emerging” in many journal titles). We did identify 16 “medical” journals among the 882 stand-alones. Table 1 provides a short list of journals that may appear related enough for a novice researcher to be fooled into submitting an EM article (taken from the large list by one of the authors, ML). For perspective, the largest of the biomedical research legitimate journal databases (HINARI Program from the World Health Organization) lists 14,964 journal titles worldwide, so these “predatory” journals amount to 12–50% of the legitimate titles (calculating 1–7 journals per predatory publisher, which appears to be the case from Beall’s list). The major biomedical indexing services identified by the authors are listed in Table 2, with the number of journals (OA/total including subscription) with the word “emergency,” “emergencies” or “emerg*” in their titles. 1. Choose to submit your research to journals that you would normally find interesting and relevant. Although these may be among the most discriminating, if successful, this will increase the chance that your research will be disseminated to the community you want to reach. This may result in changes to practice or policy, providing the most impact for your work. 3. Be honest about the methodological flaws of your own work. It is unlikely that good reviewers will not identify them. If the reviewers do not see the same limitations as you have, this is a red flag that you have sent your work to a predatory journal. Be concerned if you do not receive any critical feedback and your article is accepted, as this rarely happens with legitimate peer review. 4. Look up the journal title in the NLM Catalog: Journals referenced in the NCBI Databases.11 If the journal is found there, you can review the detail record where it provides information about the journal and whether the journal is indexed in any of the NCBI databases such as MEDLINE, PubMed, or PubMed Central. PubMed Central is a free digital repository that archives publicly accessible full-text scholarly articles that have been published within the biomedical and life sciences journal literature. Journal acceptance to PubMed Central went through a vetting process. These journals may also be indexed in MEDLINE, though this index is substantially more discriminating. However, OA journals whose content is listed in PubMed Central (full papers) automatically have their abstracts migrated to the PubMed. However, this does not guarantee legitimacy of the journal. In the present study separate from the IFEM Research Committee guidance, we found the journal, Emergency Medicine: Open Access, in the NLM Catalog. It further shows that the journal was found in PubMed and PubMed Central. However, after thorough review, we found only one citation in PubMed (PMID: 25035816) as well as PubMed Central (PMC: 4098070) for the entire journal. This occurred when the authors of the paper from Taiwan chose to deposit the article to PubMed Central. 6. Is the journal transparent and following best practice in editorial and peer-review processes, governance, and ownership? The best way to discern this is by reviewing the journal documents and governance, likely available online at the website, or reaching out to the journal leadership. Legitimate journals should have a robust list of policies and procedures on their website, including human and animal subject policies, OA license type (something like Creative Commons Attribution License 4.0), conflict of interest and informed consent. 7. Read the articles in the journal before submitting an article. Warning signs include grammar errors, poor quality science, poorly maintained website with prominent misspellings and grammatical errors. 8. Is the name of the journal incongruent with the journal’s mission? Is the name of the journal excessively broad? Does the name of the journal make sense? 9. Are there clear policies on plagiarism, authorship, and copyright on the website? 10. Is the impact factor clearly stated? Is it too good to be true (> 2)? If not readily available, journal impact factors can be found in the ISI Thomson Reuters Journal Citation Reports (JCR),13 which requires institutional subscription, and the Scimago Journal & Country Rank9 which is free. Identify if the publisher is genuine. This requires some research evaluating the publisher’s content practices and websites. Below are some of the aspects of the journal that may provide clues to a predatory publishing journal. Submit work to publishers with enlightened copyright policies. 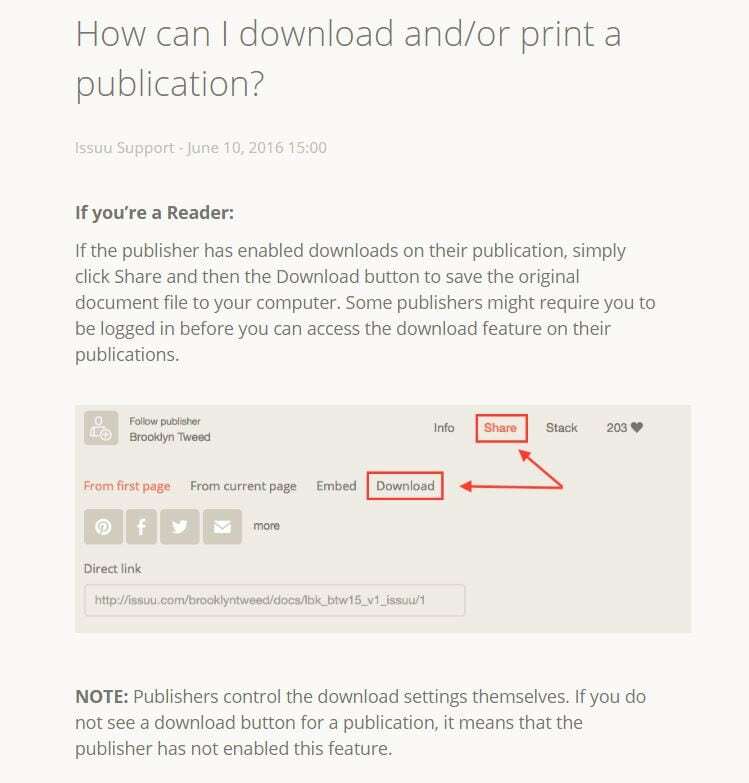 Determine whether you can post and share your work once published. One of the main advantages of OA publishing is that the author maintains their own copyright, and therefore ability to use the material in other scholarly works. SHERPA/RoMEO14 collects information on default copyright and self-archiving policies for both publishers and individual journals. Complete an analysis of the publisher’s content, practices, and websites according to ethical standards established by membership organizations. Numerous organizations have provided comprehensive ethical standards for publishers. Three are listed below. Consider asking the following questions when reviewing the publisher’s website. Does the journal clearly identify an editor-in-chief and an editorial board? Do the editors/editorial review board have academic affiliations and appropriate credentials for the journal scope and topic? Does it provide specific and detailed instructions and guidelines for authors? Are policies and practices fully stated? Do they offer discount or waiver for junior authors or authors from LMICs who can’t afford to pay the author fee? Can you find the publication fee easily identified on the website, or is it hidden many screens back with obscure navigation? Does the publisher ask the corresponding author for suggested reviewers? This is, in general, a negative feature of a journal, and implies it does not have enough legitimately qualified and dedicated reviewers to perform this important scientific service to the profession or specialty. Does the publisher engage in excessive use of spam emails to submit manuscripts? Specific targeted requests for papers to an established author are legitimate, and they come one at a time from the editor. Conversely, blanket solicitations addressed to “esteemed author” and similar salutations are markers of predatory OA journals. Do the publisher’s officers use email addresses that end in .gmail.com, .yahoo.com, or some other free email supplier? Does the publisher have excessive advertising on the website? Does the publisher have no membership or industry association? In particular, legitimate journals have membership in multiple indexes. Within Beall’s list in 2015, we identified only nine journal titles from medicine that might tempt an EM author to submit (Table 1). However, the number of predatory journals and publishers is expanding weekly, so additional titles are now just as problematic. With difficulty and the guidance of a medical librarian, we identified multiple sources and indexes that contain EM journals, both subscription and OA. Of 150 titles, we found that about a third were OA, and of these half were predatory. However, per Beall, the number of predatory publishers and individual journal titles is proliferating exponentially in all scientific fields, from 18 publishers in 2011 to 923 listed in 2016, and from 126 stand-alone journals in 2013 to 882 in 2016. Clearly, lists are insufficient to guide authors. Only an understanding of the practices and markers of legitimate and predatory OA publishers will allow the researcher to keep pace with danger. Tables 1 and 5 present likely predatory OA journals, while Table 3 presents clearly legitimate OA journals indexed in PubMed, which requires a high standard application from publishers. Table 4 shows legitimate OA journals and allows the reader of this piece to determine how widely an EM OA journal is indexed. This, in turn, determines how easy it would be for a reader or researcher interested in this subject to find their work. Even with the guidance contained in the IFEM Research Committee report, and the list of likely predatory journals above, it can be difficult to identify predatory OA journals. Increasing numbers of “predatory publishers” take advantage of the “pay to publish” model used by legitimate OA publishers such as BioMed Central (https://www.biomedcentral.com/) and PLoS (https://www.plos.org/ Public Library of Science). Legitimate OA publishers charge authors to cover operational costs and management of peer review. These predatory OA publishers request high fees in exchange for quick, OA publication online, without robust editorial and publishing services or widespread indexing. Peer review is cursory at best, or sham at worst. Unfortunately, junior scholars at even well-resourced universities and scientists/institutions in LMIC are most at risk for these practices. These researchers may unknowingly submit to predatory journals, only then receive an invoice after the paper is “accepted,” and not have the means to pay the fee. Traditionally, librarians were the sophisticated gatekeepers to scientific information and advised researchers regarding mainstream journals. But with search engines such as Google Scholar©, researchers may find it difficult to distinguish between reputable and predatory publishers. All are found there, whether or not there has been any quality control. Nevertheless, consultation with a medical or science librarian, when in doubt, can clarify the status of an OA journal. We did not include words such as “trauma” and “disaster” and their variations in our searches. As a result, our study did not include possible predatory/hijacked journals that contain those words in the journal titles, e.g., Austin Journal of Trauma and Treatment (https://scholarlyoa.com/2016/03/03/a-true-predator-austin-publishing-group/). In addition, future research is needed to determine the true nature (legitimacy) of each non-indexed OA journal that we identified in Table 5. In addition, we may have included legitimate journals that are simply not indexed in any of the databases we searched. For example, we know that Emergency Medicine and Health Care (http://www.hoajonline.com/includes/homepages/search.php?searchtype=&searchtext=emergency+medicnie+and+health+care&journal%5B%5D=22&articletype=&PageSize=10&search=search) and the Japanese Journal of Trauma and Emergency Medicine (https://www.jstage.jst.go.jp/browse/jjtem) are legitimate, reputable journals that were found in our Google search, but were not indexed in any of the databases/directories that we selected for review. The landscape of publishing changes weekly, so there may be new legitimate and OA journals. Finally, we only searched for journals in English. The novice scholar in EM should be cautious when submitting work to OA journals. This article educates and enables discrimination between legitimate and predatory OA journals. Legitimate ones disclose publishing fees freely, perform meaningful peer review, and then disseminate scholarship to the world without cost to the reader. Predatory OA journals hide fees, disclose them after acceptance, perform sham peer review or none at all, accept (nearly) all submissions to generate revenue, do not cooperate with publication retractions, and are not indexed sufficiently to allow other researchers to find the work. The number of these predatory journals and publishers is expanding rapidly, and threatens the integrity of scientific research and publishing. 1. Wicherts JM. Peer review quality and transparency of the peer-review process in open access and subscription journals. PloS one. 2016;11(1):e0147913. 2. Cintas P. Peer review: from recognition to improved practices. FEMS Microbiol Lett. 2016;363(12):fnw115. 3. Kandi V. Peer review process, open-access publication, and ethical issues in scientific communications. ATMPH. 2015;8(4):79. 4. Shen C, Björk B-C. ‘Predatory’open access: a longitudinal study of article volumes and market characteristics. BMC Med. 2015;13(1):1. 5. Clark J, Smith R. Firm action needed on predatory journals. BMJ. 2015;350:h210. 6. Bohannon J. Who’s afraid of peer review. Science. 2013;342(6154). 7. Asadi A, Rahbar N, Asadi M, Asadi F, Paji KK. Online-Based Approaches to Identify Real Journals and Publishers from Hijacked Ones. Sci Eng Ethics. 2016:1-4. 8. @jeffrey_beall. Criteria for Determining Predatory Open-Access Publishers. 2012. Available at: https://scholarlyoa.com/2012/11/30/criteria-for-determining-predatory-open-access-publishers-2nd-edition/. 9. Total Docs. (3years)Total Refs.Total Cites (3years)Citable Docs. (3years)Cites/Doc. (2years)Ref./Doc. 2016. 2015. Available at: http://www.scimagojr.com/journalrank.php?category=2711. 10. @jeffrey_beall. Misleading Metrics. 2014. Available at: http://scholarlyoa.com/other-pages/misleading-metrics/. 11. NLM Catalog: Journals referenced in the NCBI Databases. 2016. Available at: http://www.ncbi.nlm.nih.gov/pubmed/. 12. Directory of Open Access Journals. 2016. 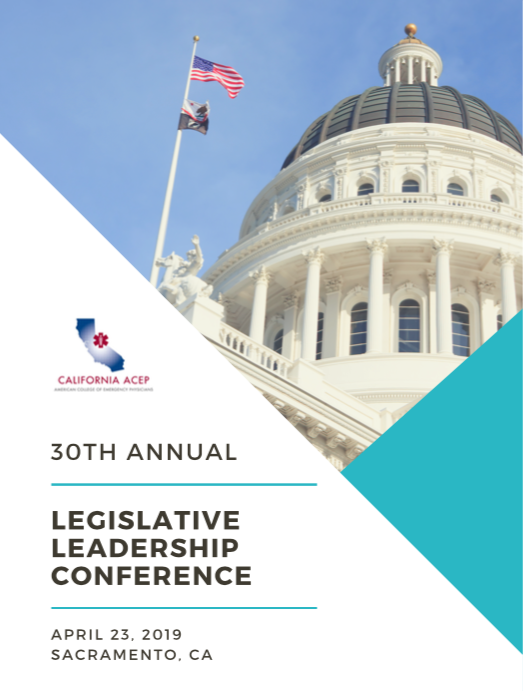 Available at: https://doaj.org/bestpractice. 13. Journal Citation Reports. 2016. Available at: http://wokinfo.com/products_tools/analytical/jcr/. 14. Millington P. SHERPA/RoMEO – Search – Publisher copyright policies & self-archiving. 2016. Available at: http://www.sherpa.ac.uk/romeo/. 15. 2016. Available at: http://oaspa.org/. 16. 2016. Available at: http://publicationethics.org/. 17. 2016. Available at: http://www.stm-assoc.org/membership/code-of-conduct/. 18. 2016. Available at: http://pages.email.mylwwjournals.com/page.aspx?QS=330c754b5e92df74b70c5ac4505057f6ee5eb58f43ec9b8ae6debc03c81937e7&cid=MR-Other-AN-OpenAccess-AuthorNewsletter-NoPub-NoPromo. 19. @jeffrey_beall. Hijacked Journals. 2014. Available at: http://scholarlyoa.com/other-pages/hijacked-journal/. 20. Dadkhah M, Borchardt G. Hijacked Journals: An Emerging Challenge for Scholarly Publishing. Aesthet Surg J. 2016;36(6):739-41. 21. Jalalian M, Dadkhah M. The full story of 90 hijacked journals from August 2011 to June 2015. Geogr Pannon. 2015;19(2):73-87. 22. BMJ Blogs: Jocalyn Clark: More on predatory journals a bad dream turning into a nightmare. 2016. Available at: http://blogs.bmj.com/bmj/2015/05/05/jocalyn-clark-more-on-predatory-journals-a-bad-dream-turning-into-a-nightmare/. 23. BMJ Blogs: Jocalyn Clark: How to avoid predatory journals a five point plan. 2016. Available at: http://blogs.bmj.com/bmj/2015/01/19/jocalyn-clark-how-to-avoid-predatory-journals-a-five-point-plan/.